Meridian Energy Australia – our parent company – has been certified carbon neutral against the requirements of the National Carbon Offset Standard (NCOS) by the Australian Government. It’s a bit of a mouthful, but we’re pretty proud about the certification so we thought we’d take a minute to break down the acronym and explain what it actually means. The NCOS accreditation provides a benchmark for businesses and other organisations that are voluntarily seeking to be carbon neutral. The benchmark sets out what is required for calculating, auditing and offsetting the carbon account of an organisation, product or service to achieve carbon neutrality. It also provides guidance on what is a genuine offset unit. *We commit to using Certified Emission Reduction certificates. These certify that emissions have been reduced by a Clean Development Mechanism project project verified under the Kyoto Protocol. 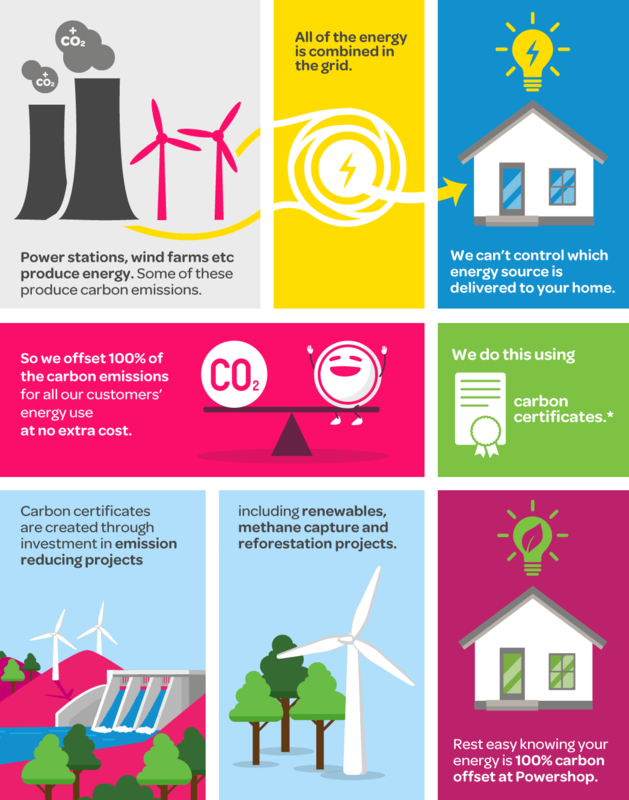 Meridian Energy Australia (our parent company), Powershop (us), and all our operations are certified carbon offset under the NCOS benchmark. But importantly for our customers, the NCOS accreditation applies to our product as well. So if you’re a Powershop customer all your energy usage is certified carbon neutral – at no extra cost. Some of our customers may know that we’ve actually been carbon neutral since September 2014. The NCOS accreditation means our carbon neutrality has been officially recognised by the Australian Government – the first time an energy company has been accredited under this program. “Meridian is the first energy company to be accredited under this program. As the majority of city emissions come from electricity, the fact businesses and consumers now have greater choices for purchasing carbon neutral electricity or renewable energy is a significant step towards the goal of carbon neutral cities.” (Government media release, 22 Dec 2015). Read the full media release here. Check out the complete list of current certified carbon neutral businesses on the Government website. Ready to join Australia’s first & only accredited carbon neutral energy retailer.